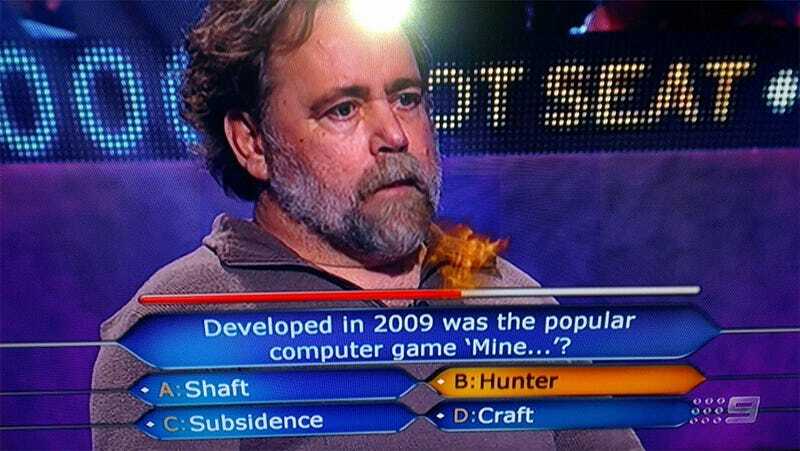 Seems this was a question asked earlier in the week on Millionaire Hot Seat, an abridged Australian version of Who Wants to Be a Millionaire?. Our friend here went with the worst possible answer. At least A is funny and C is even funnier, because it makes it sound like a Square Enix RPG.